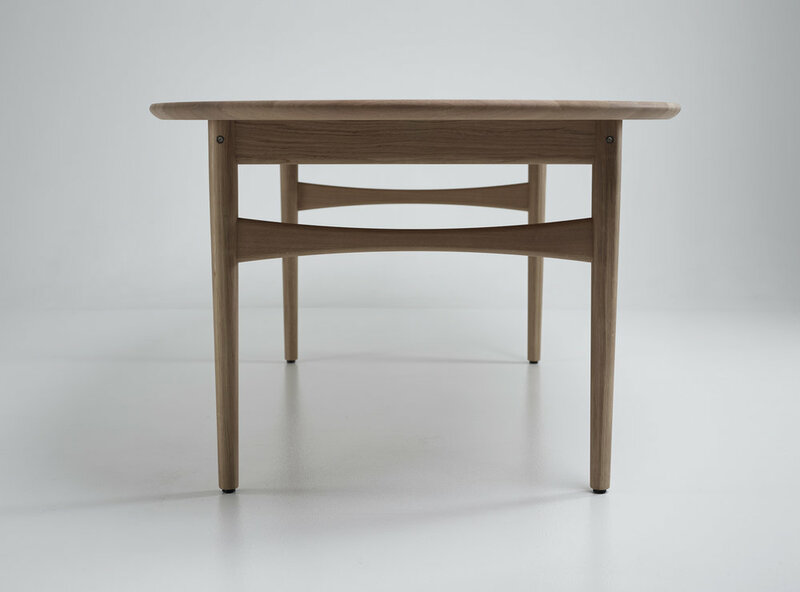 Øya is a extendable dining table that was only made for one client, a true “one of a kind” product. Sigurd Resell graduated from National Academy of Craft and Art Industry in 1947. He designed Øya while being employed at Rastad & Relling Tegnekontor in Oslo. What characterize Resell’s design are the defined logical constructions where form is decided by function. The elegant elliptical shape of the tabletop is both classical and modern, with legs that strengthens this feeling with an oval to round shape. We are proud to have this unique and beautiful table as part of the Eikund collection.